Chrysler invented the modern family minivan, and they still make the best with their 2015 Town & Country. Pack up the family and head over to Sulphur Springs Chrysler Dodge Jeep Ram to see how great their latest version of the luxury minivan is. 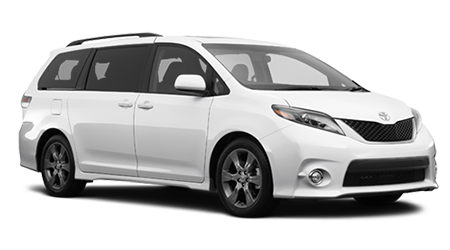 The Toyota Sienna aims high and offers many of the same features as the Chrysler, but it just falls a little short when compared head to head. While it is true that the Town & Country has an MSRP higher than the Sienna, you get many extra standard features included in that price. The Toyota doesn’t include power sliding doors side doors, or a power liftgate that opens with the key fob; they aren’t even options on the base model. The Town & Country also has leather upholstery standard, not the cloth that Toyota gives you. Standard on both vans is a powerful V6 motor, but one is more powerful. The Chrysler 3.6-liter V6 in the Town & Country has an extra 17hp and 15 lb-ft of torque, at a lower rpm. Of course you aren’t drag racing your minivan, but loaded with kids and luggage, every extra bit of power and torque helps when going up a hill. To get a rear seat video entertainment system in the Sienna costs you $5,000 more than in the Town & Country. Chrysler includes this feature in all but the base model, but you have to move up to the Sienna SE trim to get it from Toyota. Both companies have a system that can play 2 different videos at once, but Toyota does it on one split screen. The Town & Country has a screen in the 2nd row, and another in the 3rd row. 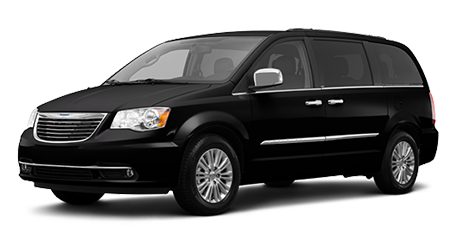 When you choose the 2015 Chrysler Town & Country minivan you get a premium luxury vehicle at a regular minivan price. Take one for a test drive today at Sulphur Springs CDJR, just a short drive from Greenville or Tyler, TX.